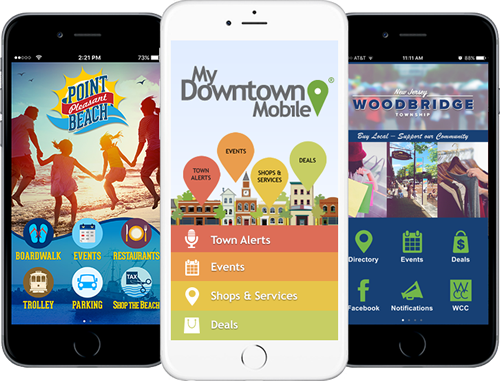 MyDowntown Mobile | Put Your Town on the "App"
Launch your town's mobile presence today! MyDowntown Mobile® keeps your community connected to all that’s important in your town. Serve up all the info that residents and businesses want to know, and share it right to their mobile phones. Make your app in 4 easy steps! We provide great features to notify and engage users, post coupons and upcoming events, find locations, boost sales, serve up multimedia content and more. Display local business listings and create custom maps. Include additional information such as: photos, working hours, directions, and allow users to share and comment. Keep your community up-to-date with event listings in your app — promote local events with all of the details and directions. Post local coupons and discounts. Coupons can be associated with locations listed in the app and promoted using push notifications. Announce new coupons, event reminders, and school updates right to your residents’ mobile screens. 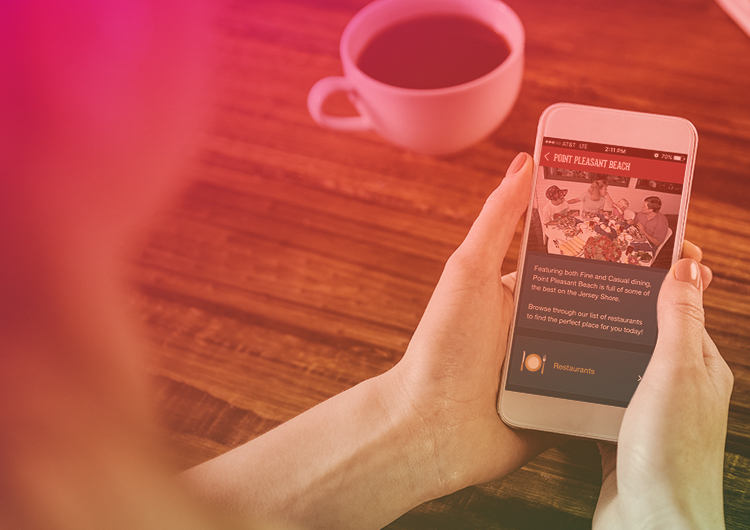 Showcase your community with photo galleries through Flickr or image RSS. Add videos of local events or marketing/promo clips. Sync your videos by linking to your YouTube, Vimeo, or video RSS feeds. Deliver relevant links and forms without leaving your app, like your town website and other key sites. Increase engagement with your town residents by providing updates in your area. Use our RSS feed or manual entry. Build customer retention with our easy-to-use multi-location loyalty program. Integrated right into the app, each business listing can have its own custom program. The key to a successful app is content, content, content. Don’t want to create it yourself? We can help – we have different offerings that can be customized to fit your needs. Marketing materials that are targeted to your specific audience. We’ll design custom posters, tent cards, banners, and more that fit in perfectly with your brand. If you need additional support once the app is launched, we can develop a custom plan for you. We’ll take care to make sure your app is populated and current. You provide us the content, we’ll get it posted. We’ll provide more help with any aspect of the app. With profresional videos, we can showcase your town’s beauty as well as its events, activities, and people. Professional photos elevate the look of your app. We can capture beautiful photos of local highlights. Or if you already have photos but feel that they could look more professional, we’ll improve them with photo enhancements. We can help you and your town build an image that tranforms your community into a destination for business and entertainment. Our team of branding professionals and designers can implement and execute a strategy for building a unique brand for your town. Thank you for your interest in MyDowntown Mobile! Please call or email us — we’d be glad to discuss our services with you and answer any questions you may have. Want to explore more on your own? Check out the F.A.Q.